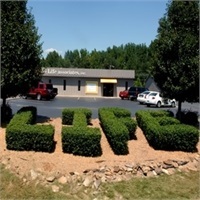 John D. Roberts | The Life Associates, Inc.
John is the founder of The Life Associates, Inc. Contributing to his understanding of employee benefits and business insurance, John has held positions in industrial relations with both Airco, Inc., and Fisher-Price, Inc. Since founding The Life Associates, Inc., in 1980, John has excelled, earning numerous industry awards and educational distinctions. These include the National Quality Award, The Health Insurance Quality Award, The National Sales Achievement Award, and both qualifying and lifetime memberships of the Million Dollar Round Table. John holds professional designations as a Chartered Life Underwriter (CLU) and Chartered Financial Consultant (ChFC). After 28 years of dedication to the industry, John is currently enjoying retirement. His principles of customer service and work ethic remain strong in the organization.